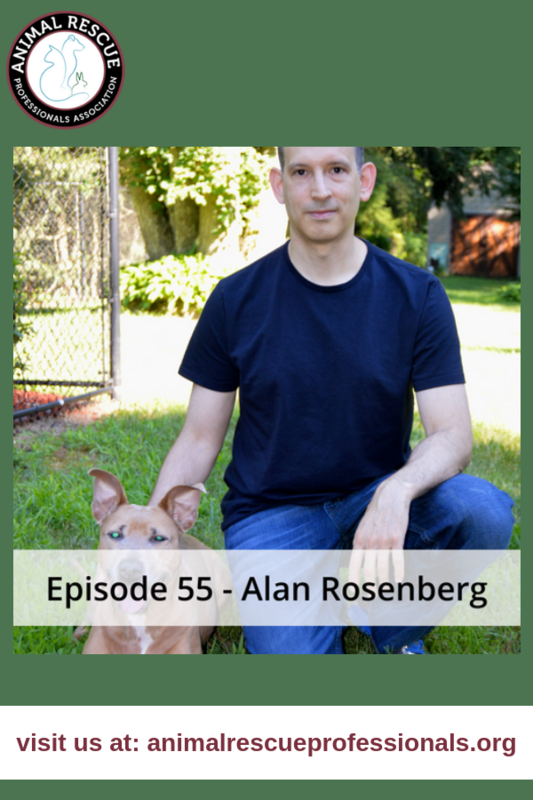 Alan Rosenberg has volunteered at local animal shelters for years, helping those animals in need. 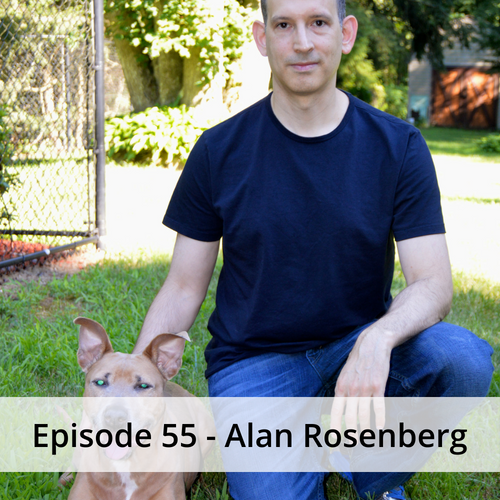 With Alan’s background in accounting and finance he uses his skills to focus on animal advocacy and shelter reform. When Alan is not busy with his day job, he’s pulling public records to research various topics and he shares his findings through his blog to shed light on what is going on in shelters today across the state of New Jersey. Looking specifically at New Jersey, the kill rate has decreased by half and the rate of decrease is 2 to 3 times faster than four previous years since Alan has been involved. Hi Amy. Thank you for taking the time to share your opinion. We definitely do research our podcast interviewees before we reach out to them and further after we have initiated contact with them. I welcome your perspective as there are many positive comments about his data driven approach and how it has helped remove conjecture and drama from the situations. I know Alan would agree that he has made some mistakes and learned along the way but that his motives and purpose is to advocate for those without a voice. Thank you for your perspective. I’m really disappointed in this podcast. Alan does nothing for animals and never has done anything. He makes up his own stats. You have to really follow his LONG WINDED calculations that are complete distortions and dishonest. He devalues the shelter employee who works 60 hours a week to make a difference in an animals life. He devalues every volunteer who is actually ” boots on the ground” fighting for these animals. He has been thrown out of every short-lived shelter stint that he actually showed up for. Please do not give him credit for any life-saving measures. It’s the hard work of staff and volunteers that make the difference in ” live release rates” It’s the ” boots on the ground” that make the difference. He adopted a Pitbull a few years back and that seems to have made him a self-imposed expert on Pitbulls, shelters and animal welfare. He is an accountant, not an animal welfare professional. Please interview REAL animal welfare workers in the trenches, not this wannabee computer warrior. There are some really great shelters in the state making a difference. Hi Doris. Thank you for taking the time to reply and share your perspective. I agree with you that one person is not solely responsible for improving the LRR at open-admission shelters and I respect your opinion of the value that Mr. Rosenberg has brought to helping animals. I would certainly welcome suggestions on organizations or professionals to talk with to provide alternative perspectives in animal rescue. We are starting two new podcasts in the near future to feature animal shelters and animal rescues across the country for this specific purpose. Please let me know if you have recommendations for other professionals that we should reach out to in order to see if they are interested. Thank you again for taking the time to comment. We appreciate you. AMY, what proof do you have to support your claims that Alan’s data is incorrect. The first step to solving or fixing a problem, is admitting that the problem exists. If you think NJ shelters are operating with the highest standards & there is no room for improvements in conditions & life saving programs then you have a very low threshold for performance & successful outcomes. The resistance you demonstrate to the sharing of ideas & looking at what is working & what isn’t by evaluating the outcomes & critiqing areas where improvements could be implemented, is counterintuitive to your coming from a place of being for the animals. If you have data which contradicts that which Alan has obtained thru OPRA, please provide it so that the discrepancy can be explored. The personal attacks against Alan are interesting and informative in their own way, and highlight one of the biggest challenges in the animal sheltering field: rather than discussing policies, practices and protocols, people often want to complain about people, personalities or politics. Don’t like the message? Attack the messenger. It is a phenomenon that is by no means unique to animal sheltering. Whether someone likes Alan or not, one thing is beyond question: his message and his data are correct and important. I know that because I have reviewed many New Jersey animal shelter inspection reports, going back decades, which validate his data, inspection reports from places like the State of New Jersey itself. People might not like Alan. But, his data is spot-on. I recommended to Chris that he interview Alan. I consider Alan one of the strongest no-kill advocates we have in our country. Not only does he have experience in shelters themselves, but his ability to analyze data is unparalleled. he does not have to work in the shelter now to have an opinion regarding how shelters operate using tax dollars. As someone who has been attacked in my own area for having the audacity to seek better for how shelters are operated, I know it is fairly common for people to attack the messenger for the fact that the message is necessary in the first place. If someone believes that Alan’s data is wrong, I honestly challenge them to provide information to back up that claim. I know that Alan will not be deterred in his efforts to bring shelter reform to his state and I commend him for how hard he works to educate people and expose what’s going on in shelters using their tax dollars, in spite of the opposition he encounters. I don’t believe that Alan has ever proclaimed to be an expert on pitbull-type type dogs. Like me, he relies on information from the National Canine Research Council and people like Bronwen Dickey who published such a well-researched book on pitbull type dogs. I applaud Chris for sharing interviews with no-kill advocates in an effort to help reach more people. A lot of people just really don’t know what’s going on in animal shelters across the country and until we bring more of the public to the table, and more rescuers to the table, it is likely that very little will change or that progress will take much longer than it otherwise would take. Thank you Aubrie for your comments and for your support of what I am trying to do with this podcast series. Like yourself and others I believe in open and objective discussions on controversial topics and would welcome anyone interested in discussing counterpoints to be a part of the discussion. We can all learn more from sharing our experiences, perspectives and learnings. I always remember that we’re united in our common goal to help animals and I appreciate anyone who has positive intent to help animals.